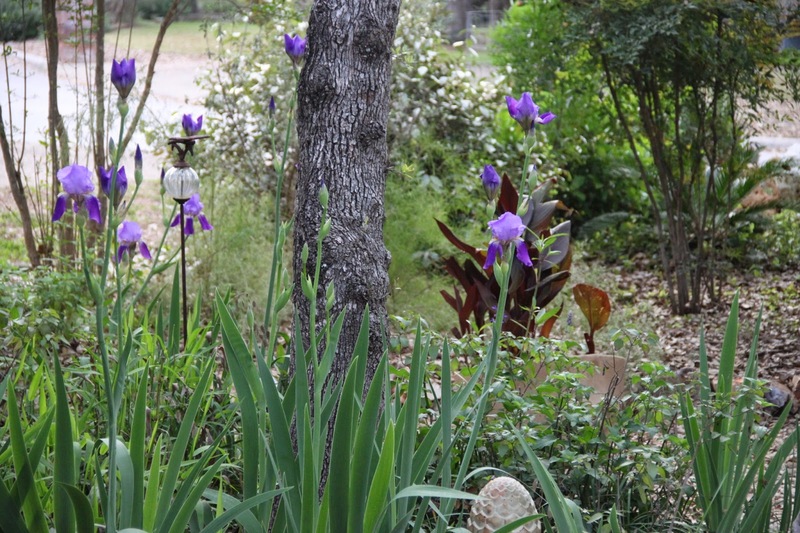 February rains bring March flowers in South Texas. We love our March flowers even it doesn't make for a cute rhyme. By May we are well into the heat loving blooms of summer. And the Pilgrims didn't make it this far south anyway. From my garden this week an Iris shared as a common purple iris, which seems accurate as I enjoy seeing these very same blooms all around town. Stunning, spectacular, amazing. Words commonly used to describe many plants. 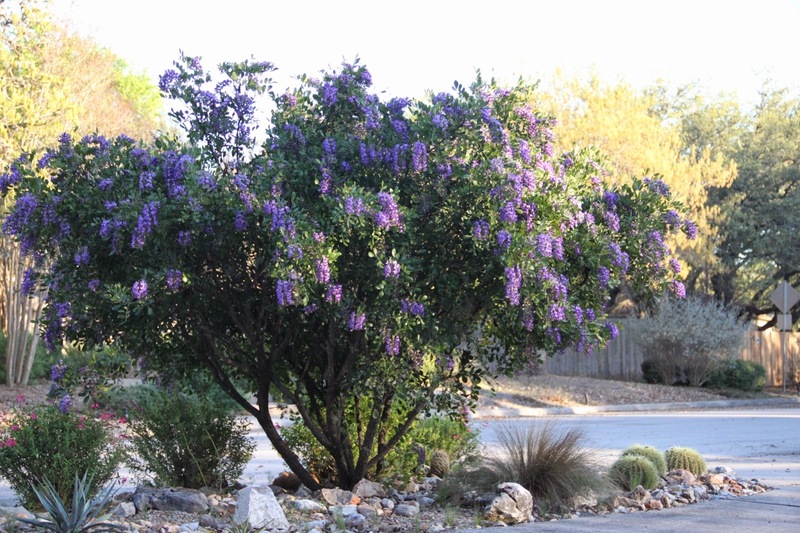 Blooms on our native Texas Mountain Laurel are all that and more this year. Just take a look. Spring rains have brought on the best blooms in years. It's spring and time to get out in the garden to....weed. 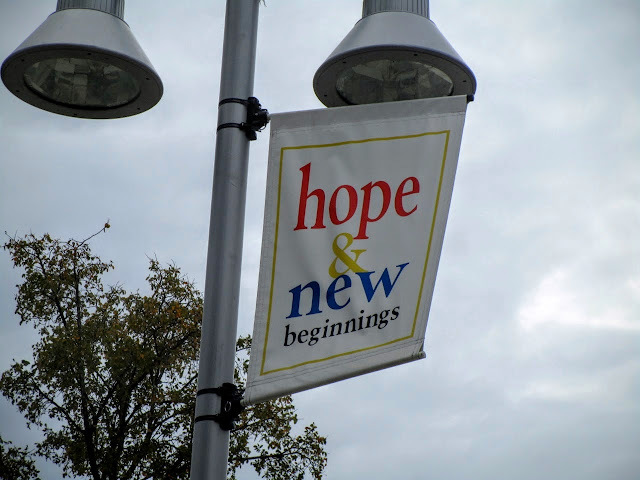 We've had so much rain this spring, weeds have taken off. With our last few years of drought I almost forgot about that part. 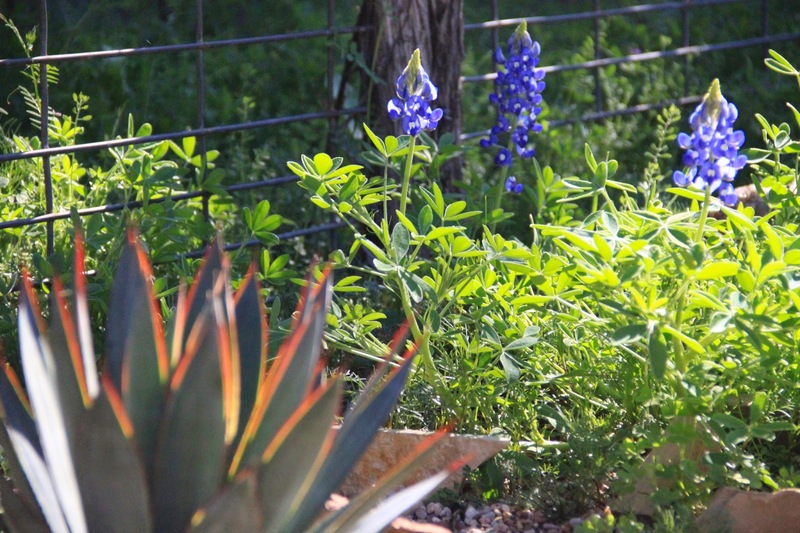 Fortunately our March blooms feature some of Texas' most popular native plants and a few others from the garden which I'm sharing for Garden Blogger's Bloom Day hosted by Carol at May Dreams Garden. What can make a deer back off from the water dish? Watch the video all the way to the end, it's only a minute and 19 seconds. Oh, yeah. I'd back off too! Wonder how he knew? I'm joining Tina at My Gardener Says..... for Wildlife Wednesday where you can share your wildlife posts and see more wildlife fun in the comments section.